Bill Mead died on 20 July 2014, nine days before his 99th birthday. 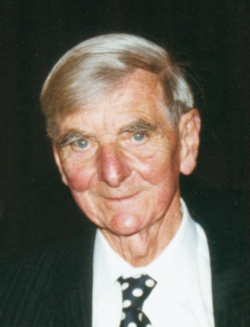 He was honorary secretary of the RGS (1967-77), then vice-president (1977-81), and honorary vice-president from 1981. He also presided over the Institute of British Geographers (1971-2) and the Geographical Association 1981-2). After a first degree, a masters and early doctoral work in the 1930s, he served in the Royal Air Force. His first post was at Liverpool University (1947-49), and the rest of his career was at University College London, until formal retirement in 1981. Bill adopted Finland and Scandinavia as his main area of expertise, focusing on economic and historical geography. His second love was his home area: the Vale of Aylesbury and the Chilterns. An Economic Geography of the Scandinavian States and Finland (1958) is perhaps his most influential work. Bill was recipient of the Society’s Gill Memorial Award (1951) and the Founder’s Medal (1980).